Recently the brand new Brasserie L’Avenue opened its doors in Luxemburg Kirchberg. With clean design that features pure craftsmanship in woodwork and design seating the bar simply resonates a relaxed atmosphere, and is the perfect spot to enjoy a cocktail. 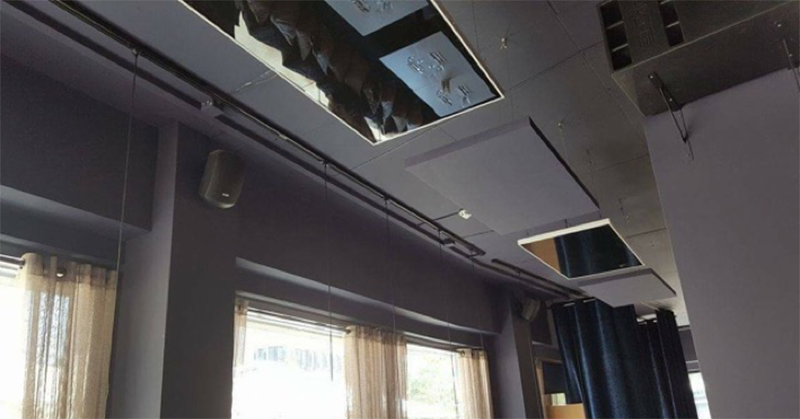 Primacoustic paintable Broadway panels are brought in to match the room’s elegant vibe with improved acoustics. The panels are installed directly above the tables, and painted in the same concrete grey tone as the surrounding walls and ceiling. The panels are mounted alternately with the room’s heating system (disguised as mirrors) and still provides a sufficient reduction in reverberation. The room is less noisy, and this greatly improves the overall intelligibility. Instead of overhearing your neighbours are the next table, you can focus on your guest sitting on the opposite side of the table. 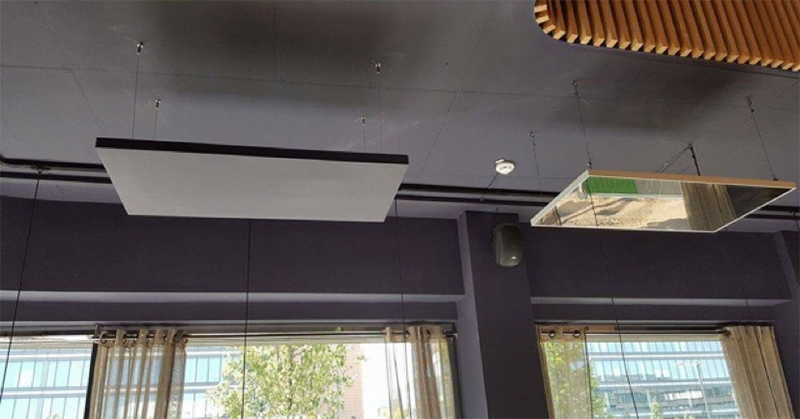 Primacoustic’s Paintable Broadway panels are designed specifically to address acoustic problems in areas where looks matter as much as the sound. They are a perfect fit for installations in restaurants, bars, offices, meeting rooms and public spaces. For more information about Brasserie L’Avenue, visit lavenueluxembourg.com. More information about Format can be found on format.lu. With years of experience in live and installed sound, Steven Kemland leads the Project Division at FACE. His curriculum expands installations at numerous theme parks, theaters and corporate venues, several of which have gained international attention and awards. Copyright FACE © All rights reserved.